ELFA Preschool, a member of Crestar Education Group, started its first preschool in China 17 years ago. Today, ELFA Preschool is a trusted preschool brand in China. With about 20 centres accredited as Provincial and Municipal Model Preschool, we have won widespread recognition of the society. Our achievements are only possible with the tireless efforts of ELFA’s staff, huge support and encouragement from the parents and government. 160 participants from all around China and Singapore graced the event. In August 2018, principals and teacher representatives from nearly 30 ELFA Preschools around China came to the beautiful city of Dalian to attend the ELFA Day 2018. 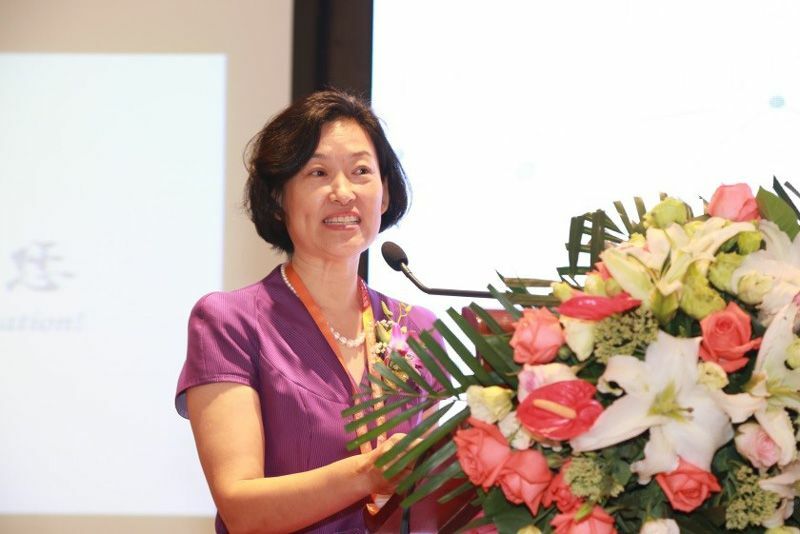 160 guests, including early childhood education experts from China, America, Singapore, Malaysia, Japan and representatives of the Group, were present at the event. Early childhood education experts, including Ms Luo Yingzhi, the Vice President of China National Society of Early Childhood Education and Director of Elementary Institute of Liaoning Education Research Institute, Ms Yang Lizhu (National Teaching Award winner), a professor from the College of Psychology of Liaoning Normal University, a Ph.D. supervisor and a member of Teaching Steering Committee of Ministry of Education of China graced the event with their presence. The event started with a walk down the memory lane, showcasing the momentous milestones of ELFA including major breakthroughs and great achievements. With technology as one of the event’s focus, participants could easily obtain event information by scanning QR codes, gaining access to photos and videos etc. Dr. Carol Loy, Curriculum & Professional Development Director, Kinderland Educare Services, shared the importance of the integration of Eastern and Western early childhood education theories and practices before welcoming our keynote speakers for the event. We are honoured to have Mr Jeff Winokur from prestigious Wheelock College (USA) and Dr. Liu Wen from Liaoning Normal University at this event. Mr Winokur shared about the Western approach to STEM education. Mr Winokur is a nationally recognized expert in designing and delivering science professional development. He is a consultant for early childhood programs throughout New England and provides professional development for teacher. 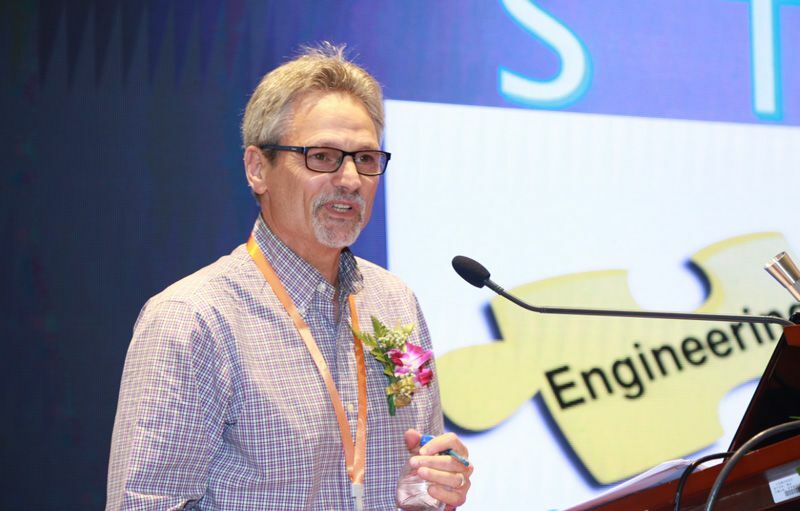 STEM education and coding are approaches in ELFA’s future development. 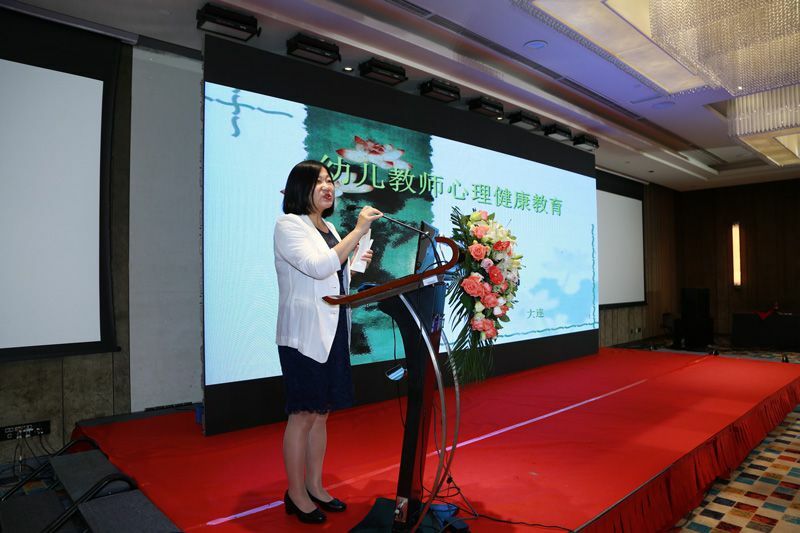 Dr. Liu Wen, specially appointed professor and doctoral tutor of College of Psychology, Liaoning Normal University, is a psychologist recognized by the Chinese Psychological Society. She serves as the director of the provincial Psychology Teaching and Guiding Committee and head of the provincial ‘Children’s Personality Development and Education’ innovation team. She shared about the importance, strategies for promotion and problem prevention of teacher’s mental health. 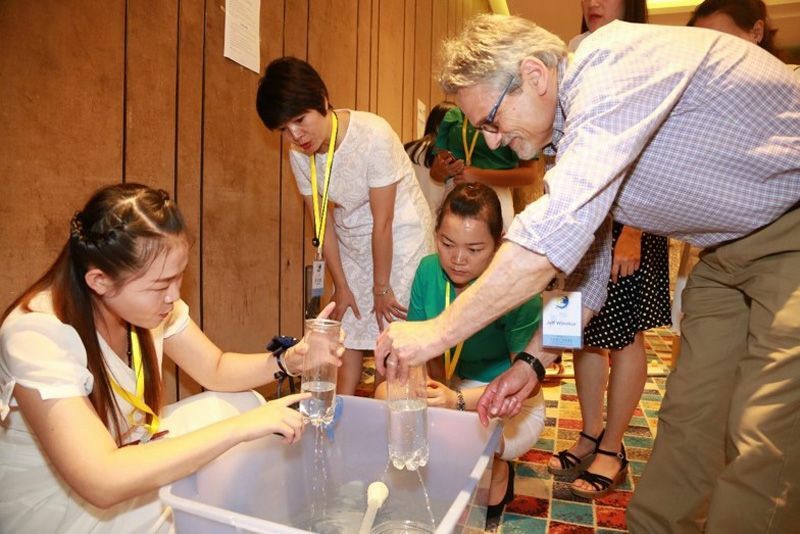 STEM Experiment Station: Mr Jeff Winokur having discussion with the teachers on the characteristics of water. This year’s theme, “True to our aspiration, thankful for your dedication”, reflects ELFA’s unwavering commitment to our children and parents. We are committed to continuously enrich our teachers and update our curriculum based on best practices from the East married with the West. We will continue to provide quality education and care with ELFA’s mission of “being a useful person and enjoying a life of health, gratitude and happiness”.